BOTTOMLINE: if the Mothership goes down, it. all. goes. DOWN. While it might be tempting to stay up later to finish a project, your morning self will not thank you. Not getting enough sleep sets you up for a stressed day ahead, not giving you the oomph you need to get through the day’s tasks. Aim to get at least 6-7 hours of sleep every night. Can you remember the last time you flicked thru a magazine that wasn’t a wedding mag? Or read something that wasn’t work-related? Take some time out and do a crossword, watch a quick TED talk or complete a Sudoku. This gets your mind sparking in different directions, which might lead to creative ideas that you can bring back to your next event or business challenge. This is one of my personal faves and something I’ve been indulging in a lot recently. There’s some great coloring books available especially for adults, designed to help you chill out and reduce stress. Whether it’s getting a skincare product you love or taking the time to run yourself a hot bath (complete with bubbles and candles)…pampering will help you relax and it’s great for your skin! TIP: Lock the door, don’t let the kids invade your quiet time. Mama needs a BREAK. 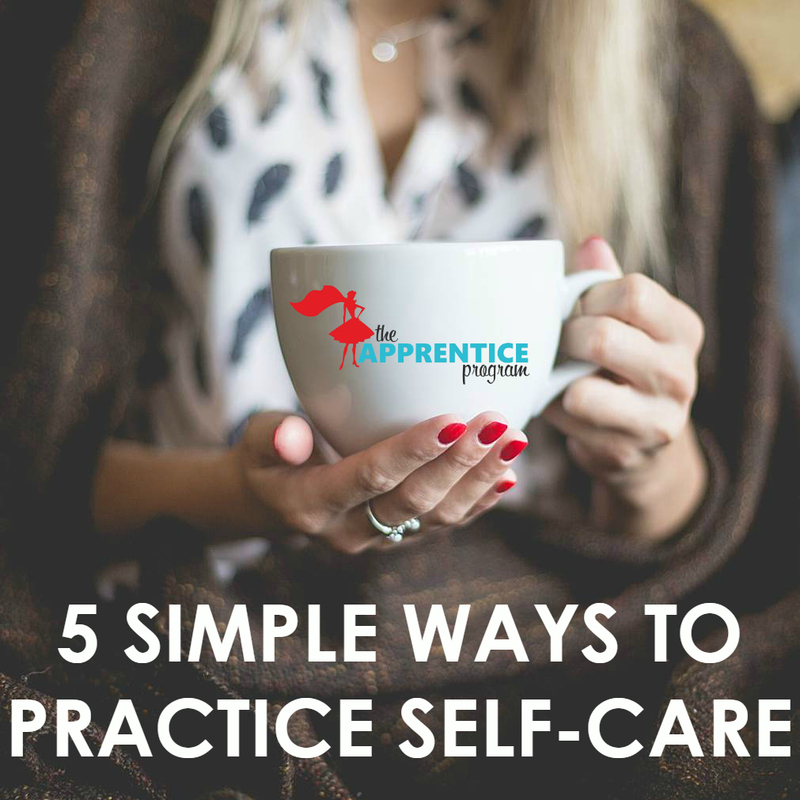 Self-care doesn’t always have to be something that’s usually deemed to be ‘good for your mind’. Sometimes just watching tv… so you don’t have to actively think or do ANYTHING…. is exactly what we need to help us recharge. Sign up to The Apprentice Program to get your intern training for next semester sorted! We’ll cover all the crucial topics of wedding planning, meaning your intern is prepped and ready to help you and your events team on-site and in the office – currently just $75/intern.